The pursuit of higher education is a hugely valuable thing. Unfortunately, as adults, there are a of things that can get in the way of our studies. It could be other commitments that we have in our lives, or the biggest commitment of all – making sure our kids are taken care of whilst we’re studying. Thankfully, some teachers are willing to go above and beyond in order to accommodate their students. 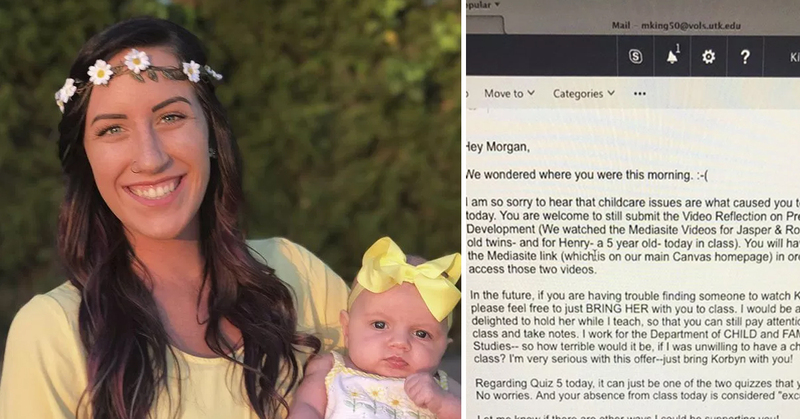 A mathematics professor has received praise after pictures of him helping one of his student’s to babysit went viral. 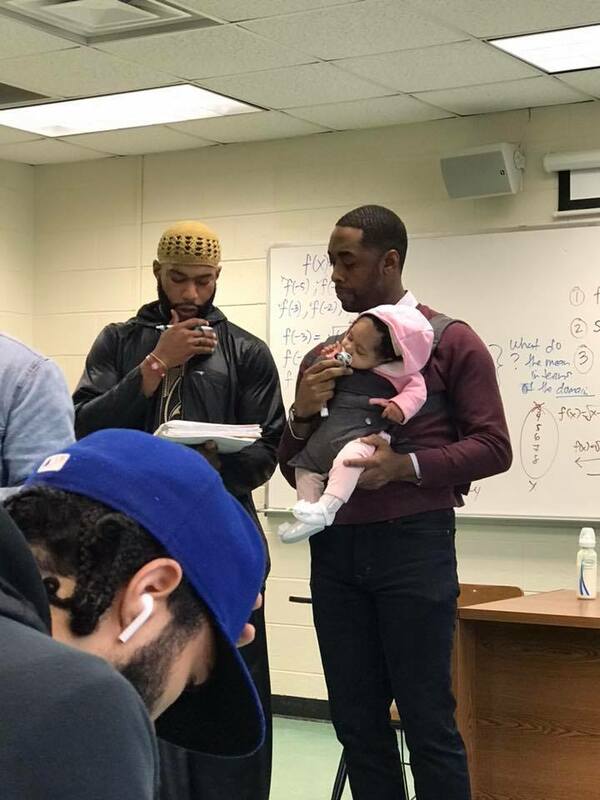 Nathan Alexander, who teaches at the Morehouse College, was pictured taking class while comforting the student’s baby as she sat in a carrier strapped to his chest. According to the person who posted the pictures on social media, Nathan had stepped in when he found out the dad couldn’t find a babysitter. Understandably, the tweet went viral very quickly, amassing over 320,000 likes in just a few days. Clearly this wasn’t a one-off moment of kindness from the professor either, as numerous other students of Nathan’s were quick to chime in and sing his praises. Wow, it sounds like Nathan is an absolute hero at his school. Even the little baby seems to agree, as she looks peaceful and content sat in her carrier while he cracks on with the lesson. As one commenter pointed out, she must’ve sensed the positive energy. Babies are intuitive like that! We wrote a while ago about a similar instance, in which a woman who was studying a therapeutic-focused course at the department of child and family studies at the University of Tennessee found herself without childcare on the day of her class. Professor Hunter, who is a mother herself, proceeded to take care of the baby for the whole lecture. Talk about multi-tasking! It’s so nice that there are kind, considerate professors out there, who are not just academically brilliant, but also amazing human beings. Here’s to Professor Nathan Alexander, Professor Sally Hunter, and everyone else who have gone above-and-beyond for their students!